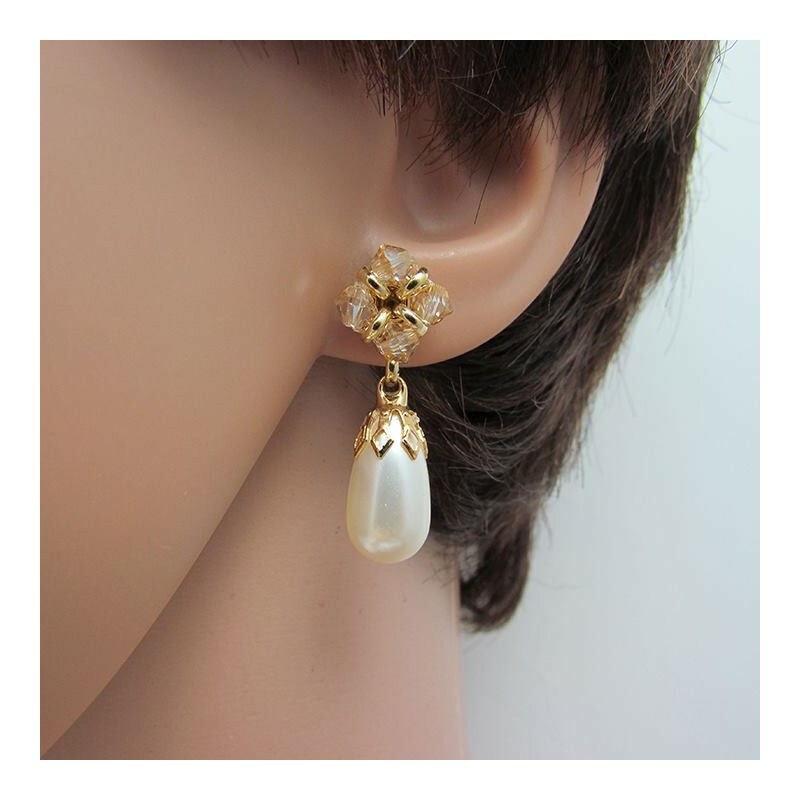 Crystal flower shaped & pearl drop earrings. Handmade piece, vintage inspired made of a crystal flower shaped woven into gold plated and pearl drop earrings. All the components are exclusively Swarovski Elements. 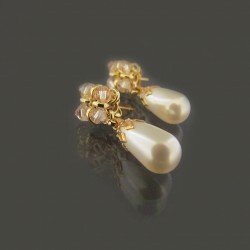 Earrings length: 1.2" / 3 cm approx. 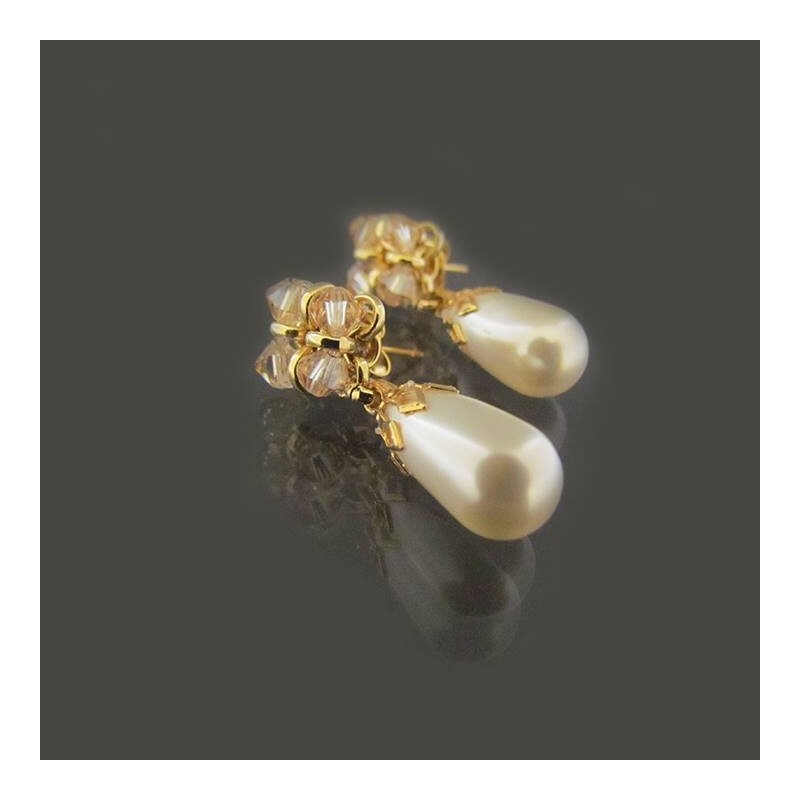 Crystal flower shaped & pearl drop earrings, elegant piece that will make you feel like a real princess in your special day.